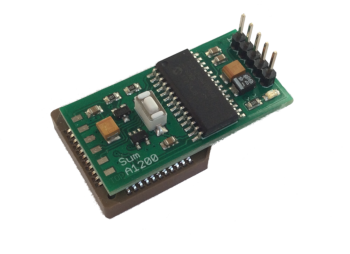 SPI MasterBus CP is an SPI bus controller (Serial Peripheral Interface) designed for the clock port of the Amiga A1200 computer. 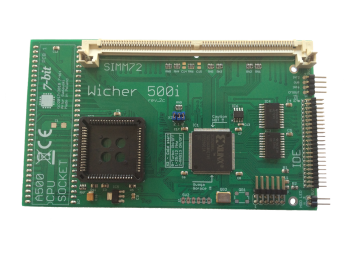 Wicher 500i rev.2c turbo card has been designed for installation inside Amiga A500/A500+ computer. 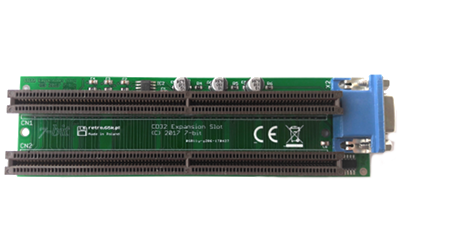 It supports 68000/68010 CPUs (using PLCC68 package), up to 12 MB of Fast RAM (using 16-128MB standard SIMM72 memory modules) and IDE 2,5” hard drives. CPU clock speed can be set up to 50 MHz. 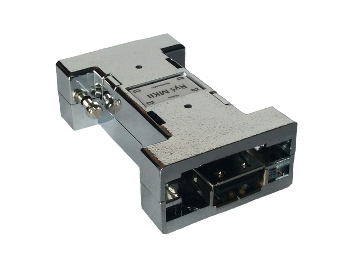 Ryś MK II adapter comes as a successor to Ryś USB. 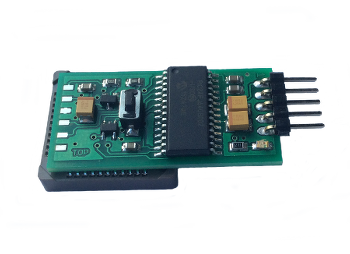 Similarly to its predecessor it is based upon 16-bit Microchip microcontroller and it can be used together with USB HID devices like mouses, joysticks, pads. This site is dedicated to devices created for Amiga computers and other dated tech that some describe warmly as retro-computing. The first project has come into existence due to the need of the hour. The direct cause leading to Ryś’s creation was malfunction of original mouse that had come bundled with my Amiga 1200. I had to build something that would allow using available USB mouses. This resulted in first prototype. In its first incarnation the device supported only USB mouses. Over time, however, my almost forgotten gaming affection reminded itself and I had no other choice than to add support for joysticks and USB pads. That is how Ryś ‘has happened to the Amiga world’. 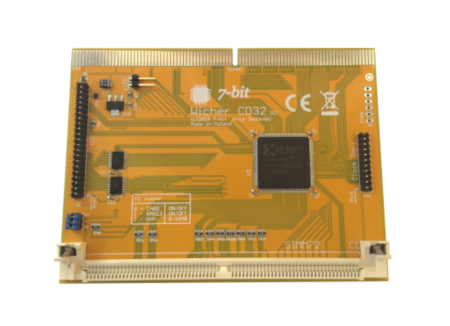 Most probably my next projects will aim for enabling retro-computers compatibility with devices that would have never been considered as suitable for our beloved hardware. Owing to the simple fact of using modern components, retro-computers can experience a breath of fresh air and (possibly to some extent) their second youth. New reseller from USA - Amiga On The Lake. 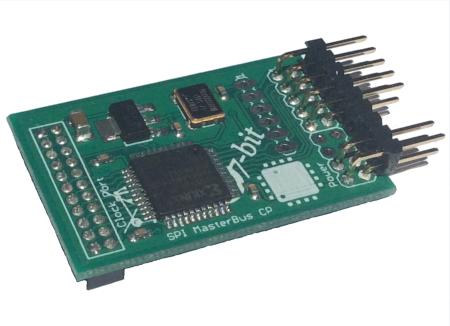 SPI MasterBusCP for any Amiga with a ClockPort.